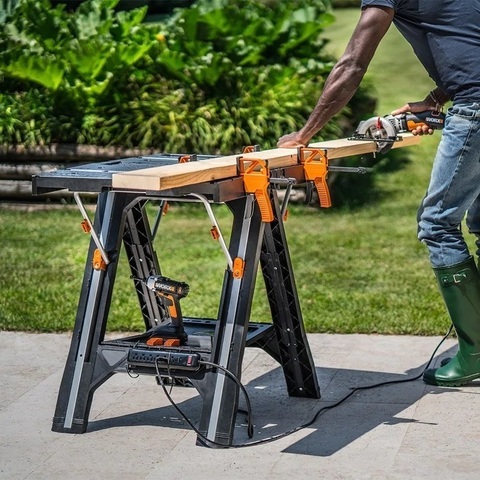 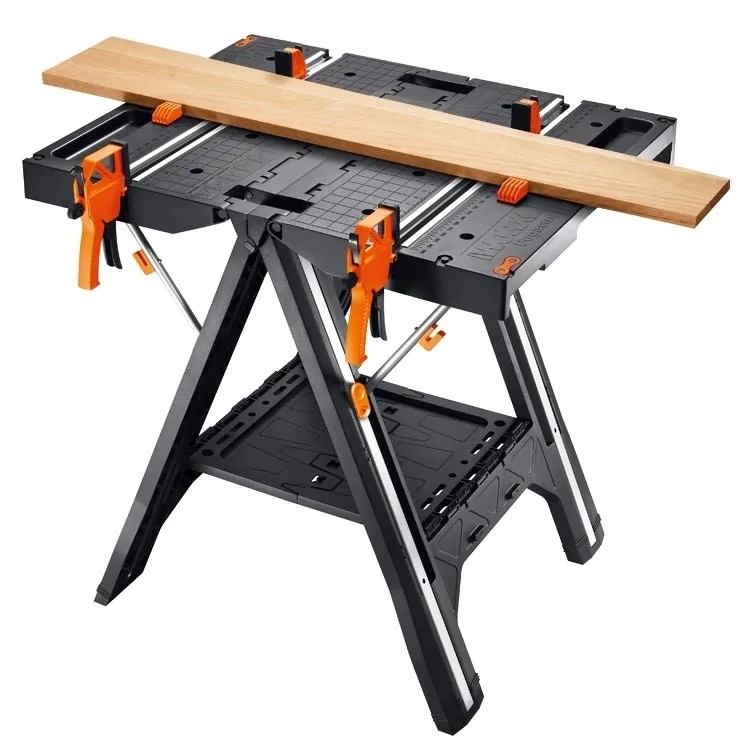 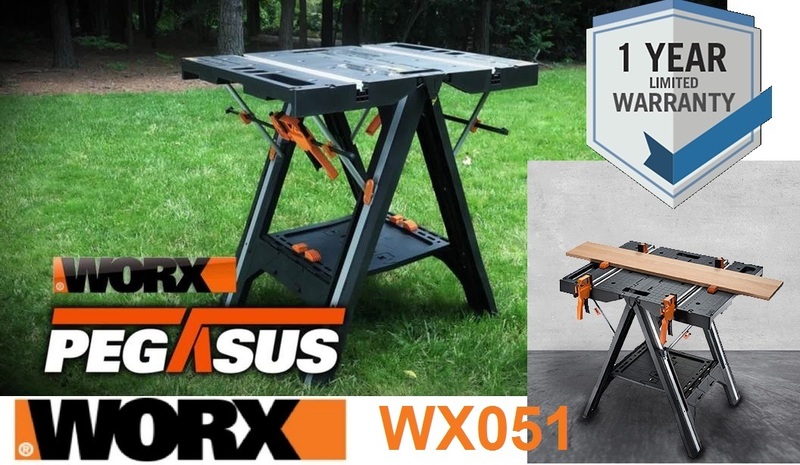 Worx Pegasus Folding Work Table & Sawhorse..
A MULTI FUNCTION WORK TABLE DESIGNED TO GOWHEREVER THE WORK TAKES YOU. 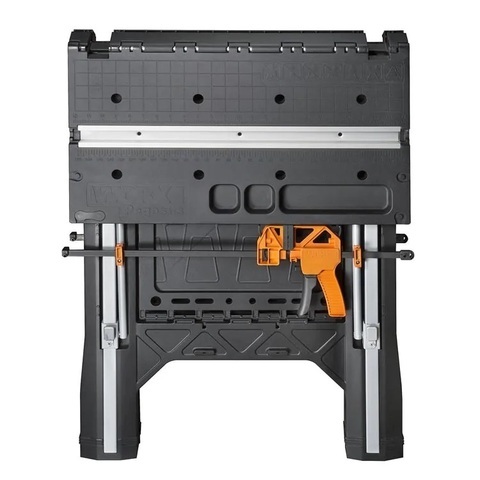 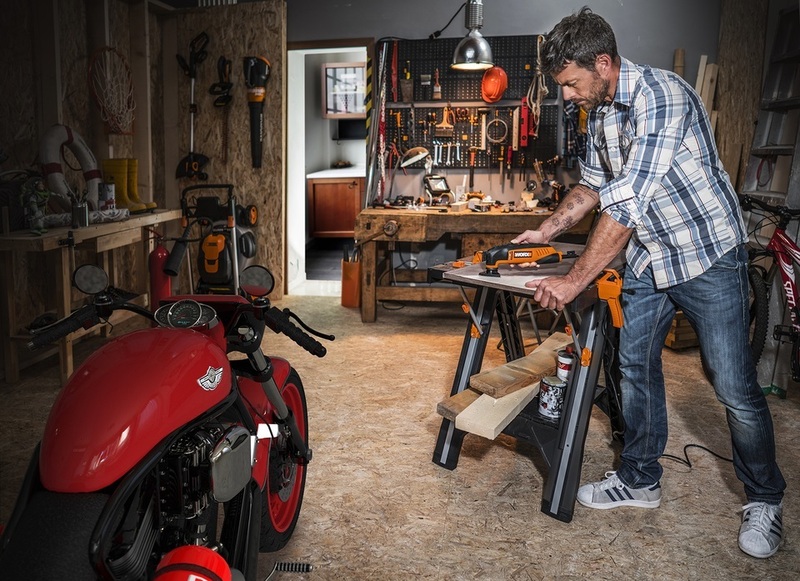 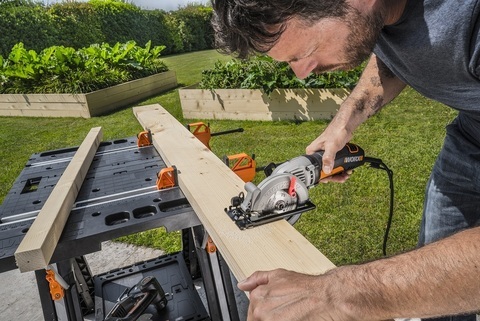 The Worx Pegasus is the latest space-saving workstation from Worx® that functions as a worktable and sawhorse with multiple work applications. 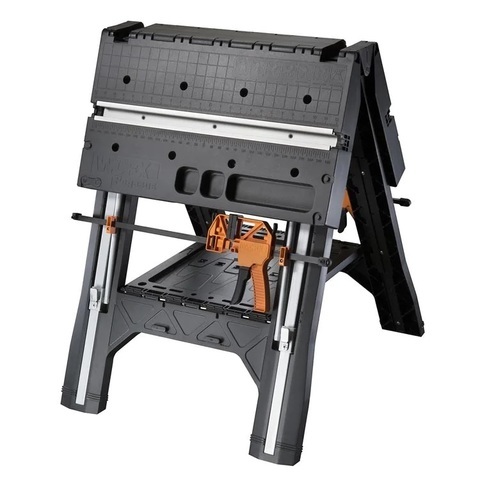 Its combination of features include built-in channels to house two, 18 in. 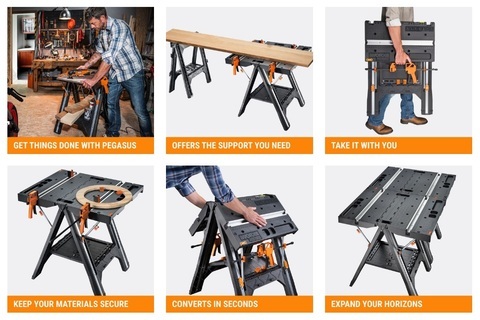 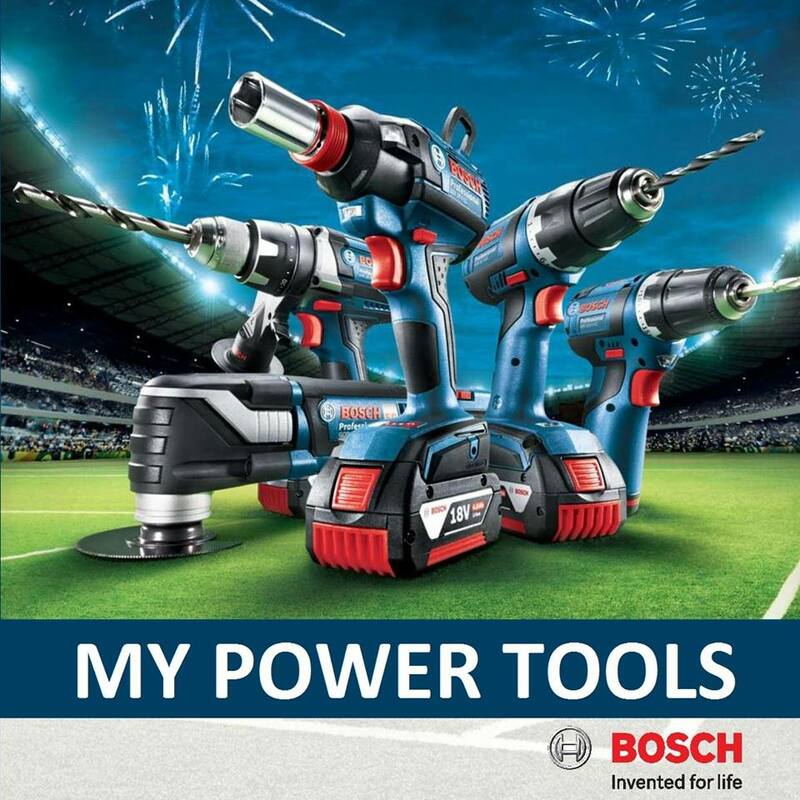 Quick-clamps and four table slots for dogs to secure circular and irregular sized workpieces. 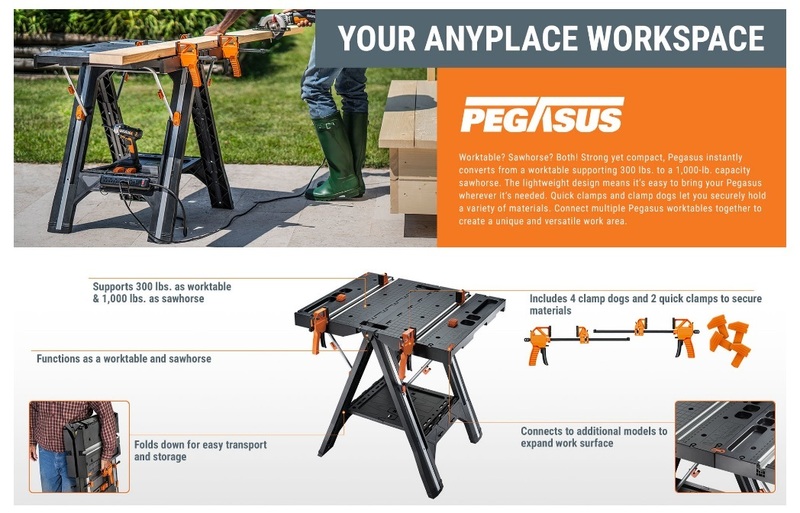 Pegasus has a 31 in. 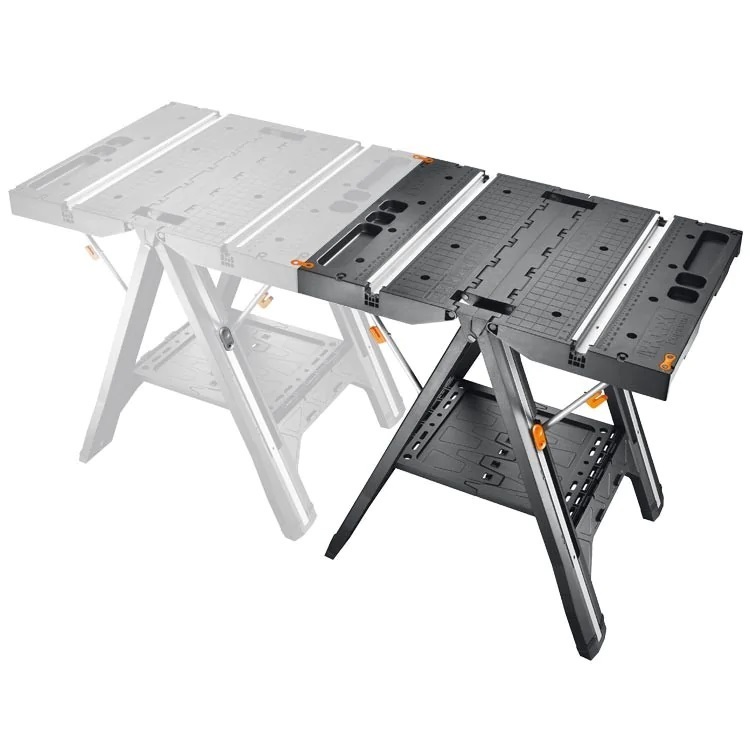 x 25 in. Tabletop and in the worktable position, it’s capable of supporting workloads up to 300 lbs. 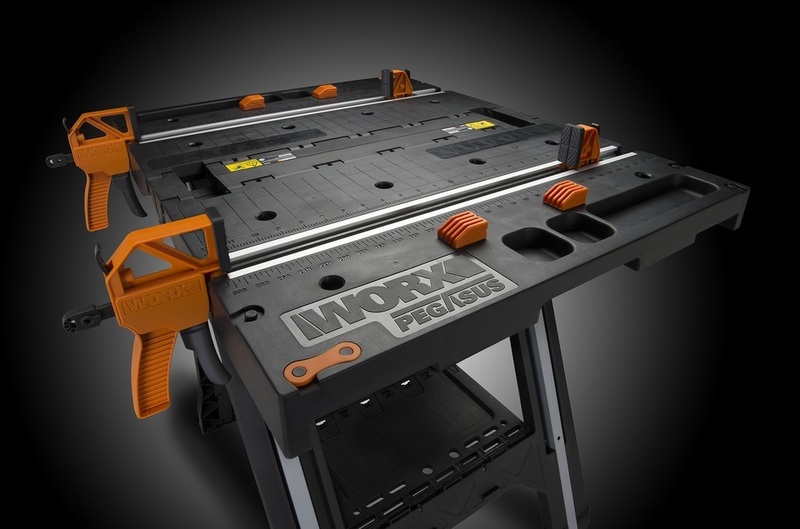 Innovative Pegasus interlocks with other Pegasus tabletops (optional) through link-lock. This expanded work surface is handy for cutting 2X4s with a miter saw and other applications. 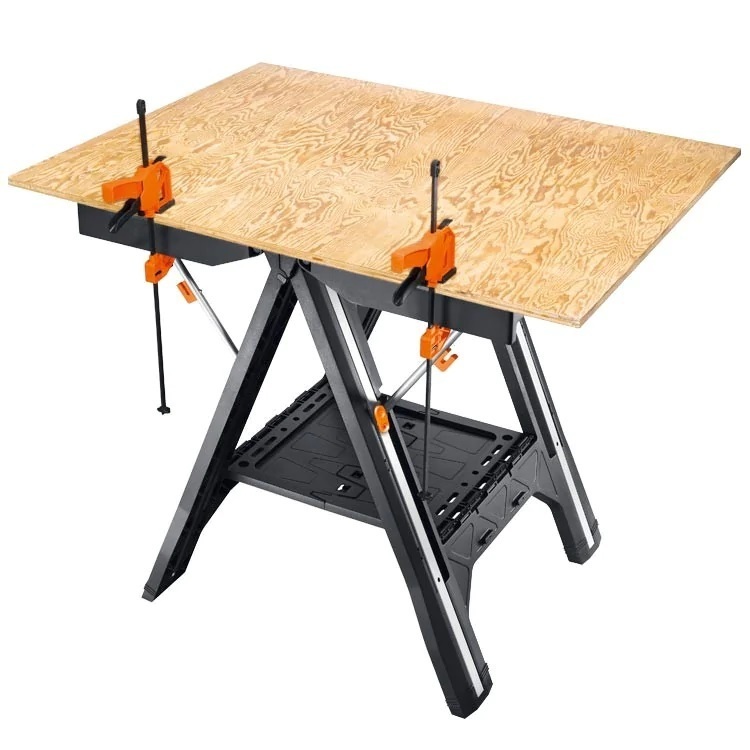 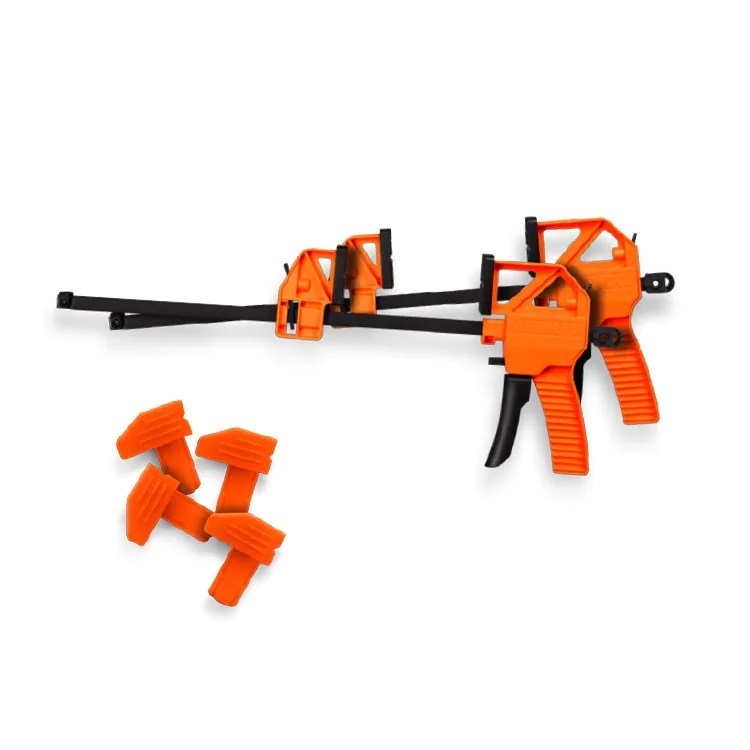 Quick- clamps come with the table and are great for securing wood to be cut and glue-ups. 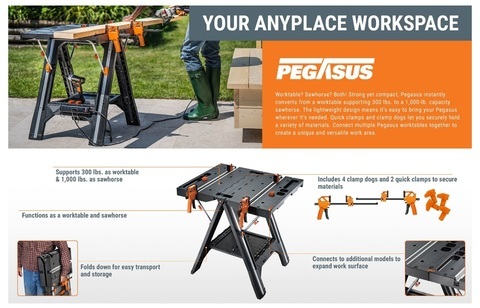 The table also intersects with a second Pegasus from the back when the second worktable is placed perpendicularly. 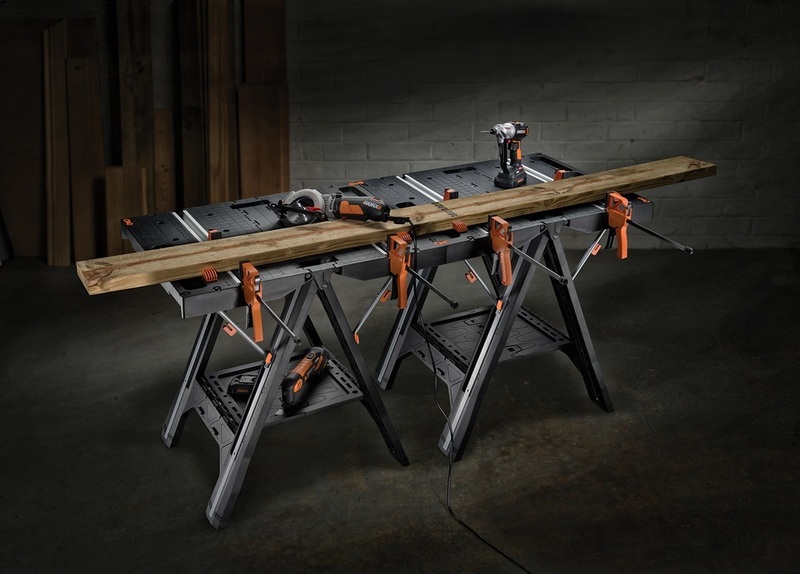 This arrangement is ideal as an outfeed extension. Table size 31" x 25"
PRICE RM550.00..(Worx you've got the power)..